LOS ANGELES, June 1, 2017 /PRNewswire/ -- Businessplancity.com is the first budget business plan website in America offering aspiring entrepreneurs, businesses, corporate clients and various other clients an affordable business plan writing service. Their discount service offers well-priced business plans to their prospective clients who have been hitherto weighed down by the current exorbitant market pricing of business plans. Expensive doesn't always mean the best. The keywords are quality and affordability. 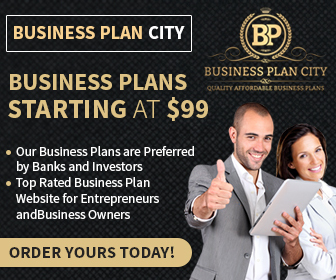 Business Plan City is the disruption that the multimillion dollar business plan writing industry has been waiting for with pricing starting as low as $99, there is definitely hope for their clients to have significant savings when ordering a business plan. A recent market analysis conducted by Businessplancity.com found that most online business plan services currently in the market are above the reach of the small business community and aspiring entrepreneurs, which is why they decided to launch a service for quality, low-cost overall business plans. The launch is expected to trigger a price war among competing websites offering similar services. The entry of Business Plan City into the industry comes on the heels of a wave of entrepreneurship currently being experienced globally. As C.S. Lewis said: "You're never too old to set another goal or to dream a new dream." 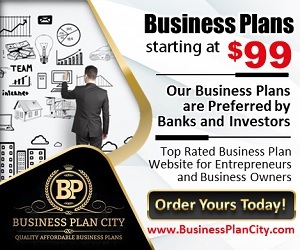 BusinessPlanCity.com offers top-rated quality business plans that set out their client's business future objectives and strategies for achieving them. They offer the best business plan consulting, custom business plans, marketing plans, business plan writing and review, business plan analysis, business plan templates and various other services to support aspiring and current business owners, entrepreneurs, corporate clients and students. BusinessPlanCity.com provides their clients with an executive summary, which is a snapshot of their business plan as a whole and touches on their company profile and goals.